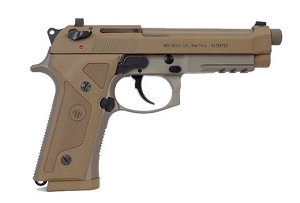 Based on military feedback, Beretta has designed another member of the M9 family, the M9A3 9mm pistol. The M9A3 delivers all of the critical features that today's combat professionals require in demanding environments. The redesigned pistol features a reduced-circumference grip, universal slide design with a decocker only, an extended threaded barrel, a beveled magazine well, oversize mag-release button, a 3-slot Picatinny rail, front and back strap checkering, reduced circumference grip with thin grip panels as well as a wrap-around backstrap grip (included, not installed), and a sand-resistant magazine for maximum firepower. 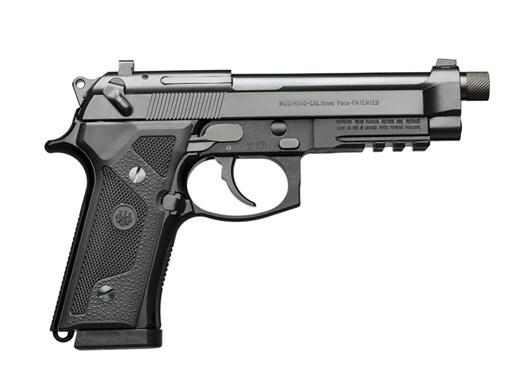 The M9A3 was designed to deliver the performance that military, law enforcement and consumers demand. In short, this combat pistol was designed to perform exceptionally in any tactical or home defense situation. Proudly made in the U.S.A.